November’s Coffee with the Curator, titled “The First Thanksgiving: Myths & Realities” features Dr. Carolyn Speer Schmidt speaking about the true history of the holiday and explains some of the misconceptions that surround Thanksgiving. Thanksgiving is a national holiday celebrated in the United States that originated as a day to give thanks for the harvest. Unique, unrelated Thanksgiving celebrations are held in various countries as well. America’s version of Thanksgiving stems from English traditions during the Protestant Reformation (a division within the Roman Catholic Church in 16th century Europe). 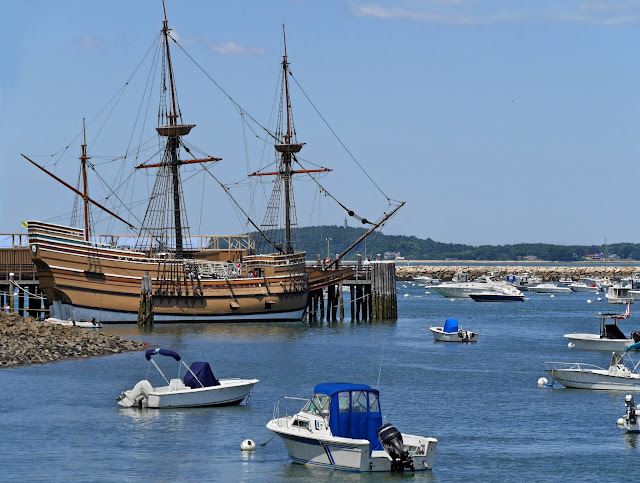 There are some interpretations of the events that led to the holiday’s creation, though it is generally accepted that English settlers known as Pilgrims were brought to North America on a ship called The Mayflower. Upon arriving in Cape Cod Harbor, the Pilgrims established a colony named Plymouth in 1621. For as long as most people can recall, Thanksgiving has always fallen on the fourth Thursday each November. However, this date was chosen in 1941, so the holiday has not always occurred on such a consistent schedule. 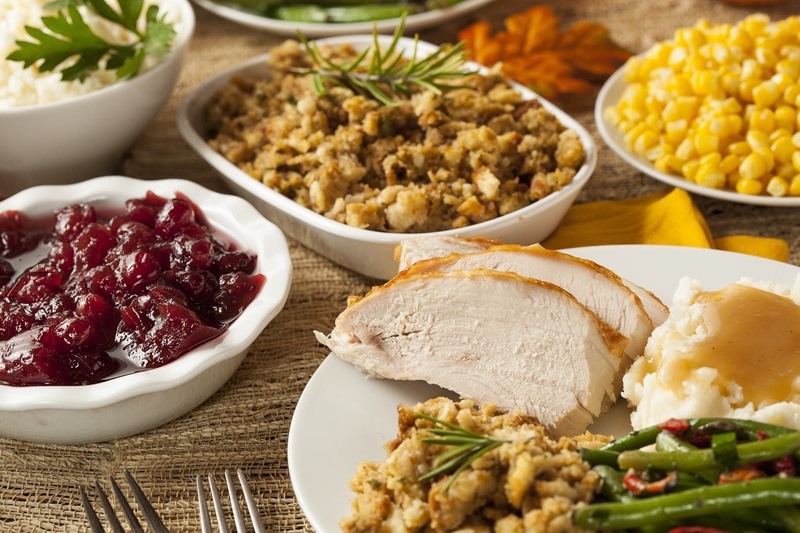 The original feast in 1621 likely occurred sometime between September 21 and November 11. Also, Thanksgiving was traditionally a three day holiday, rather than a single day. 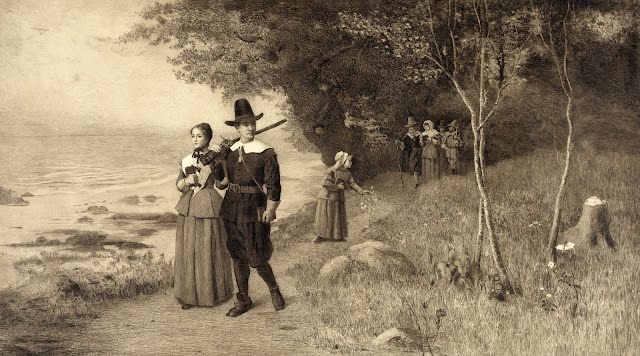 When people imagine pilgrims, they often picture black and white clothing with large buckles on shoes, hats, and clothes. This is inaccurate, as buckles didn’t come into vogue until later in the 17th century. Pilgrims were not monochromatic, either. Women wore red, gray, brown, green, and blue, and men wore white, brown, black, and beige. Turkey and Thanksgiving go together like peanut butter and jelly. But has it always been that way? No. Pilgrims originally ate deer, not turkey. If any kind of poultry was served, it would’ve been a side dish - never the main entree. Other foods they might’ve eaten include lots of seafood, like cod, oysters, clams and bass. And there wasn’t a pumpkin pie to be found on any Pilgrim’s table. 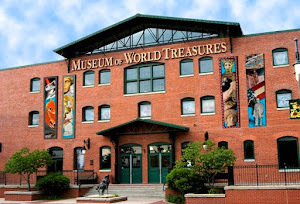 Join us November 17 from 9:00 - 10:00 a.m. for Coffee with the Curator at the Museum of World Treasures. Enjoy coffee from The Spice Merchant, pastries, and new friendships. Although this is designed for seniors, everyone is welcome to attend this fun and educational program. 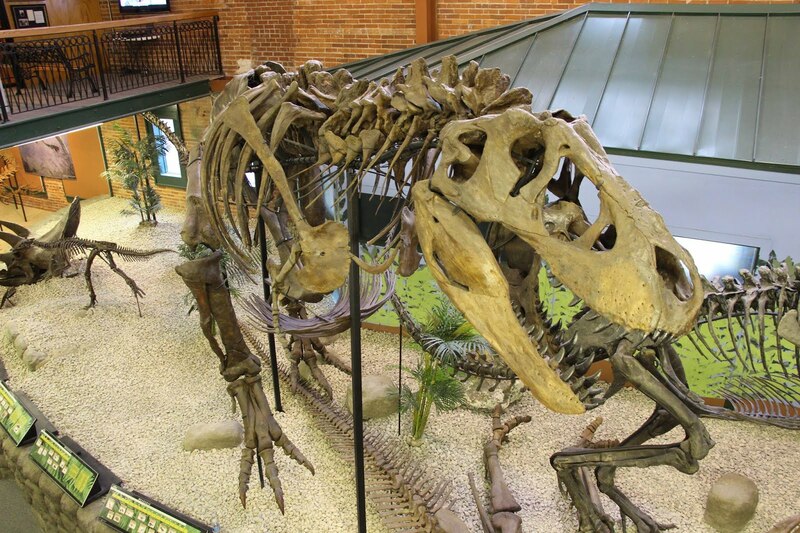 Admission is discounted to just $4 per person, and members are free. Visit www.worldtreasures.org to learn more.